It would be an understatement to say my pre-reading anticipation of Finnikin of the Rock was intense. In the past month, I worked my way through Melina Marchetta’s collection of YA contemporary novels, marveling at their subtle complexity, depth of feeling, and realistically drawn characters. Several reviewers proclaimed that her Lumatere Chronicles series was even better, and as a lifelong fan of the fantasy genre, my expectations were high. Were they met? For the most part, yes.Let me begin with the good. Marchetta’s greatest strength in Finnikin of the Rock is how she tackles real life issues in a fantasy setting. I’d actually call it brilliant that’s how clever it is. According to Marchetta, this story originated as she sat observing a multicultural NYC subway car. Everyone was speaking a different language and came from a different homeland. Instead of writing a contemporary novel, she decided to discuss displacement in a fantasy world. I tried to imagine what that contemporary novel would have been like, and well, I probably would’ve at least enjoyed it because, it's Melina Marchetta, but I don’t think I would have enjoyed it as much. By translating these characters to a real-world setting, the messages could come off super preachy. As in Marchetta noticed a hot topic and wanted to capitalize and proselytize on it. In the fictional land of Skuldenore, with magic and princesses and swords, the reader and Marchetta can explore national identity and displacement without it being heavy-handed.I gravitated heavily towards this novel’s important themes. 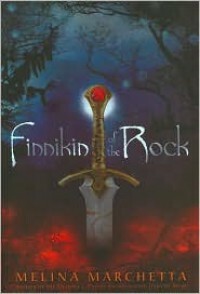 I already want to reread Finnikin of the Rock to better understand and philosophize on them myself. Most interesting was the gender relations aspect of the story. I’m a sucker for anything gender studies related because these topics are so relevant today and many facets of sexism and misogyny are constructed in the literature we read. Recently, I read the wildly popular fantasy novel Game of Thrones and wondered why fantasy worlds were always so sexist. It seems like fantasy authors often set their stories in medieval based worlds that are obviously insanely misogynistic. Although Skuldenore is relatively medieval, Marchetta has really turned some of the genre tropes on their head here, making a feminist reading of this novel eminently possible (or at least I think so until I reread it). The relationship between Finnikin and Evanjalin is seductively complex and merits analysis. Now, unfortunately, onto the bad. I wish I could unabashedly love Finnikin of the Rock, slap five stars on it, and call it a day, but there has to be a “but.” I found the world of Skuldenore a bit unbelievable. Don’t get me wrong; I think Marchetta’s worldbuilding was fantastic. In relatively few pages, she develops distinct personalities for each country—Belegonia as the cultured center of arts and learning (it reminded me of Renaissance Italy); Charyn the sneaky bully country; Yutlind the politically weak and divided country. But from the moment I looked at the provided map at the front of the book, I doubted the realism of this land. Any specialist in geopolitics would regard this map as ridiculous because no small island is going to house that many distinctly disparate groups. It was ludicrous that Lumatere still existed when the entire country was the size of a modern metropolis and contained a population the size of a tiny town. In a realistic world, its bigger neighbors Belegonia and Charyn would have conquered it centuries ago. Language is also an important facet of this novel; the fact that languages vary and are used to construct identities and to deem foreign speakers as Others was a crucial part of this story. Yet I could not believe that a different language was spoken in each territory. Linguistically, unless there are huge natural barriers between countries, they are going to share similar language origins, if not the same language. Each country would not have a distinct tongue. More important than the impracticality of Skuldenore, however, is that the small sizes and close borders of these nations diminished the scope of the novel. Fantasies are supposed to be epic in proportion. While the smaller sizes of the involved parties focused the novel on the struggles of the characters, thus preventing Marchetta from committing the mistake many fantasy authors make—overexplaining grandiose battles between thousands of creatures and peoples from faraway lands—I would have appreciated a larger world with more room for our characters to play. My final complaint includes spoilers, so look away if you haven’t read Finnikin of the Rock yet. How Marchetta wrote Evanjalin/Isaboe annoyed me. Are we honestly supposed to believe that Finnikin fails to recognize a beloved childhood playmate that he’s mourned for 10 years? 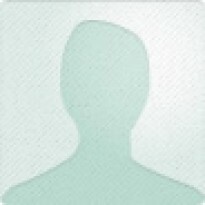 Are we supposed to believe that it would never occur to Finnikin to ask, “Hey Evanjalin, in our small nation of 6,000 people, I should know almost everyone, so what’s your lineage with the Monts? Who are your parents?” The answer to this question, which in normal circumstances would undoubtedly arise, would have cleared up a lot of trouble. If it was glaringly obvious to me, as a reader, that Evanjalin was Isaboe dozens of pages before the reveal, it should be obvious to Finnikin, her smart, childhood best friend. Furthermore, I don’t understand the reason for Evanjalin’s secretiveness. I realize that if Marchetta had been upfront about the truth of Evanjalin’s past much of the plot would disappear, but that doesn’t mean she can pretend that her past just isn’t discussed until it’s suitable for the story! My last complaint about Evanjalin (and honestly I did enjoy her character, I just think Marchetta made some choices with her that were unrealistic) is that she seemed vaguely Mary Sueish. I understand that she was supposed to be an empowered female character, and I loved that. I love that she was in charge of Finnikin, not vice versa. But Evanjalin was able to do anything! Other women can only walk the sleep of nearby slumberers? Evanjalin can walk the sleep anywhere. No one can break out of the Sorel prison mines? When Evanjalin is around, that’s no problem! We’re all about to die in Yutlind Sud? Of course, Evanjalin can speak the Yut Sud dialect perfectly, in addition to every other language on the island of Skuldenore. Now that I’m writing this I’m realizing how much she bothered me at times, but to end on a positive note, I did appreciate the romance between Evanjalin/Isaboe and Finnikin. It was slow to develop, and I love that Finnikin didn’t dominate Isaboe. In fact, some of my favorite parts were when Isaboe called out Finnikin on his selfishness and "whoring" ways.Writing this review illuminated a lot of the problems I had with this book, but I think these problems are easy for a reader to overlook. Marchetta has created a fantastic world populated by charming yet flawed characters. Her treatment of xenophobia, refugees, and gender relations in a sexist society is incredible. Prepare to be a little frustrated by some unrealistic elements, but the take-away is worthwhile.